For over 35 years, Jonathan L. Goldstein has represented financial institutions, corporations and individual clients in complex business litigation in federal courts throughout the United States and the state courts of New Jersey. Before joining the firm in 1977, Mr. Goldstein served as United States Attorney for the District of New Jersey. While at the United States Department of Justice, Mr. Goldstein received the U.S. Attorney General’s Distinguished Service Award. Mr. Goldstein has extensive expertise as a trial lawyer and appellate advocate, representing clients in a broad range of matters including complex commercial litigation, federal securities litigation and SEC enforcement, criminal and regulatory enforcement, antitrust law and trade regulation, oppressed minority shareholder litigation, environmental litigation and family law. Mr. Goldstein served on the Lawyers Advisory Committee of the United States District Court for the District of New Jersey from 1983-1992. He was Chair of two senatorial Judicial Selection Committees for the United States District Court from 2000-2005, a member of the Governor’s Advisory Committee on New Jersey State Police Standards in 2006, and a member of the New Jersey Attorney General’s Independent Review Panel to study the New Jersey State Police Executive Protection Unit in 2007. 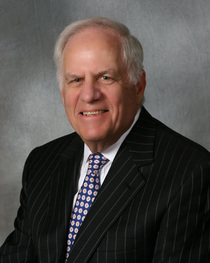 Mr. Goldstein received the William J. Brennan Award from the Association of the Federal Bar of New Jersey in 2008. He is a past President and member of the Advisory Board of the Association. In November 2010, Mr. Goldstein received an honorary degree from the Rabbinical College of America. Mr. Goldstein was the recipient of the Torch of Learning Award from The American Friends of The Hebrew University in October 2013. Mr. Goldstein has been recognized by Chambers USA: America’s Leading Lawyers for Business: Ranked in the Band 1 category in New Jersey for White Collar Crime & Government Investigations. Mr. Goldstein has been selected by his peers to be included in the Best Lawyers in America consecutively since 1999, and since 2005 has been selected for inclusion in New Jersey Super Lawyers in business litigation. Mr. Goldstein was named by Best Lawyers as a Lawyer of the Year for 2017 in Litigation-Regulatory Enforcement (SEC, Telecom, Energy). Mr. Goldstein is a member of the Bars of New Jersey, New York and Florida, as well as the federal trial and appellate courts in those jurisdictions, and of the Bar of the Supreme Court of the United States. A description of the standard or methodology on which the accolades are based can be found HERE. No aspect of this advertisement has been approved by the Supreme Court of New Jersey. Recipient, U.S. Attorney General's Distinguished Service Award, 1973. Recipient, William J. Brennan Award, The Association of the Federal Bar of New Jersey, 2008. Special Trial Attorney, U.S. Department of Justice, 1965-1969. Assistant U.S. Attorney, 1969-1974, Chief Criminal Division, 1969-1971 and First Assistant, 1971-1974, District of New Jersey; U.S. Attorney for the District of New Jersey, 1974-1977.